SGD periodically sends out a newsletter to colleagues designated as contacts in SGD. This December 2015 newsletter is also available on the community wiki. If you would like to receive the SGD newsletter in the future please use the Colleague Submission/Update form to let us know. We want to take this opportunity to wish you and your family, friends and lab mates the best during the upcoming holidays. Stanford University will be closed for two weeks starting at 5:00 p.m. PST on December 18th, reopening on January 4th, 2016. Although SGD staff members will be taking time off, please rest assured that the website will remain up and running throughout the winter break, and we will attempt to keep connected via email should you have any questions. As the holidays approach, many of us are getting ready to crowd around the table for a big family dinner. Some of us may behave differently around family than we might with friends or coworkers. For example, with your relatives, you might bite your tongue if your political views vary greatly from theirs. Where we are and with whom we interact can sometimes affect what we do. A yeast cell can end up acting differently depending on where it is in a colony. For example, only a narrow band of cells gets to sporulate while all the others are left to plod through mitosis. A new study out in GENETICS by Piccirillo and coworkers shows that these cells sporulate because nearby cells “encourage” them to. They are being influenced to sporulate because of the cells around them. 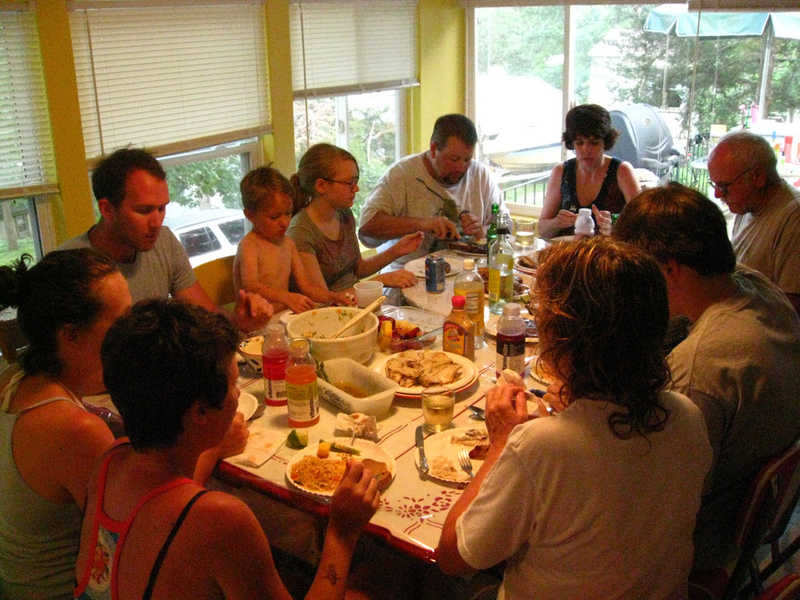 Just like your relatives might influence you to change your behavior at the dinner table. The first step in showing that one set of cells signals a second set to sporulate was to find the genes involved in setting up this pattern. Since the authors were looking at Saccharomyces cerevisiae, it was pretty easy to get mutants to study. They just had to open their freezer and pull out their yeast homozygous diploid deletion library. Initially, they looked for strains where the usual pattern of sporulating cells was disrupted. They then took these candidates and looked for those that could still sporulate normally in suspension. They wanted mutants that could sporulate but couldn’t do it in the right place. They found seven strains that fit the bill. Three of the deleted genes, MPK1/SLT2, BCK1, and SMI1, were in the cell-wall integrity pathway (CWI). They also showed that mutation of three other genes in the pathway, SLG1/WSC1,TUS1 and RLM1, all impacted colony sporulation as well. Further work showed that the transcription factor RLM1 was induced 1-2 days before the master regulator IME1 was turned on. IME1 is a key player in getting meiosis started so that yeast cells can sporulate. So the story seemed to be that RLM1 is turned up which then turns on IME1, which kick starts meiosis. Makes sense except it is unlikely that Rlm1p is directly activating IME1. There is no obvious Rlm1p site in the IME1 promoter. A close look at the colonies showed that RLM1 is upregulated in a layer of cells just under the ones where IME1 is upregulated. Deletions in the CWI pathway seemed to have disrupted a group of “feeder” cells whose job it is to get nearby cells to sporulate. To show this, the authors used a chimeric colony assay that consisted of two strains. The first strain, which had functional Rlm1p, had a reporter, either RFP or lacZ, under the control of the IME1 promoter. The second strain was either wild type or deleted for the transcription factor RLM1. They created colonies with equal amounts of each strain and looked at IME activation. The idea is that if RLM1 is important in the cells that sporulate, then the second strain shouldn’t matter. You should get the same number of cells in which the IME1 promoter is activated whether or not adjacent cells express RLM1. But if it is important for RLM1 to be expressed in nearby cells, then there should be a falloff in activation if adjacent cells are deleted for RLM1. This is just what the authors found. And it wasn’t just the artificial reporter system that was affected either. There was also a drop off in the number of cells that sporulated in the case where some of the cells lacked RLM1. In a further set of experiments, Piccirillo and coworkers showed that these feeder cells became more osmosensitive compared to the ones that go on to sporulate. While they did not find the signal that prompted the meiosis of nearby cells, this change in osmosensitivity is consistent with the cells preparing to release something into the environment. So it looks like activating the CWI pathway in one set of cells causes a second set to start down the road of sporulation. And if the CWI pathway is disabled in these cells, then the second set of cells no longer changes their behavior and begin to go through meiosis. This all seems weird at first until you realize that the cells in a colony usually all share the same DNA. What is good for one set of cells is good for the survival of the DNA even if it is at the expense of other cells in the colony. Yeast cells tend to sporulate when food grows scarce. But sporulating takes a lot of energy. Colonies may get around this paradox by having some of the cells in the colony give up nutrients or energy to a few cells that go on to sporulate. The feeder cells deprive themselves so that other cells have a better shot at survival. Now the DNA, shared by all the cells, can live on for the next round of holiday dinners…. It was important to contain Jafar to his lamp. The same is true for keeping gene drives in their cells. Image from MissRagamuffyn on flickr. Everyone knows about genies. They have almost infinite power, can grant you three wishes, and are kept under control by the owner of their lamp. And as we saw in Disney’s Aladdin, it is a good thing that the lamp is around! 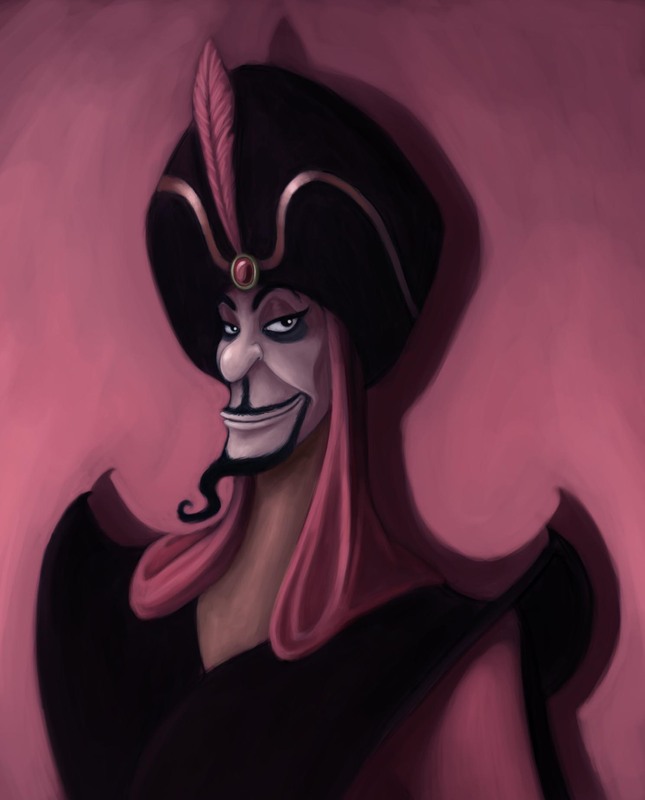 When the evil sorcerer Jafar was given the powers of a genie, he began to take over the world. Until, that is, Aladdin forced him back into his lamp where he could be kept under control. In the last few years, scientists have come up with their own genies. While not as powerful as the “real” ones, these gene drives can still pack quite a punch. And maybe even grant us a few wishes. Gene drives can force genes to spread quickly through a population whether those genes are good for a species or not. 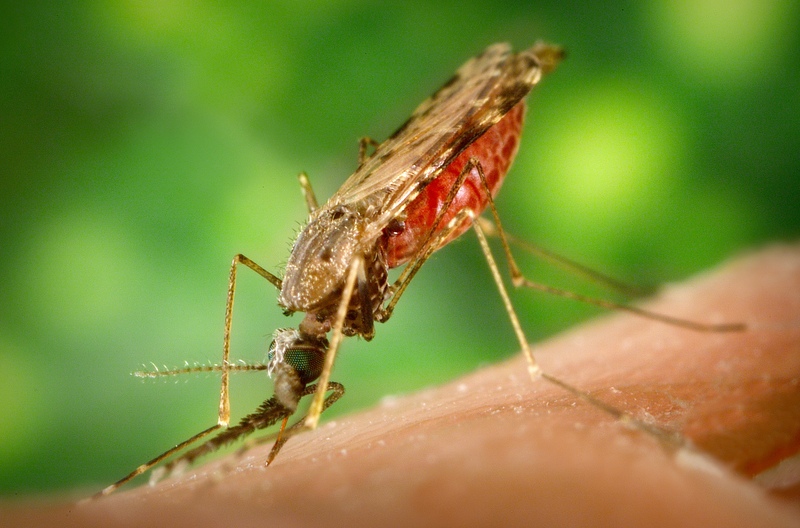 This means we might be able, for example, to force a “bad” gene to spread through the mosquitoes that transmit malaria. By causing the mosquito population to crash, our wish to save hundreds of thousands of lives each year would be granted! But just like a genie, we need to keep gene drives under control. We do not want something that overrides natural selection to escape and wreak havoc with ecosystems. Which is where, as usual, our friend yeast can help! In a new study out in Nature Biotechnology, DiCarlo and colleagues use yeast to test two different strategies to make gene drives safe enough to use. And, they argue, safe enough to research. Gene drives are based on the idea of homing endonucleases. Basically, if a gene associated with a gene drive is on just one of the two chromosomes in a pair, the gene drive will copy and insert the gene into the other chromosome through a precise DNA cut. Now both chromosomes end up with a copy of the gene. Which of course means all of the offspring will get the altered gene too. This copying will happen generation after generation until the new gene has swept through the population. The idea for gene drives has been around since 2003 but really only became practical with the discovery of the CRISPR/Cas9 system. This genome editing tool, which is ludicrously simple to program to target most any DNA sequence, allows scientists to create most any gene drive they want. The CRISPR/Cas9 system has two parts. One part is the guide RNA which leads the second part, the endonuclease Cas9, to the right spot in the genome to cut. What makes the system so powerful is that you just need to make a different guide RNA to target different sequences in the genome. One easy way to help control a gene drive is to keep these two parts separate. Do not have the guide RNA and the Cas9 on the same piece of DNA. Then, if one part were to escape, it couldn’t do anything on its own. This is of course easy to do in yeast. Just integrate one part into a chromosome and keep the second part on a plasmid. This is just what DiCarlo and coworkers did. And they showed that this separation can be very effective. They integrated a guide RNA into the ADE2 gene of a haploid yeast to create a gene drive designed to disrupt ADE2. As expected, this strain produced red colonies on adenine limiting media. They next mated this strain to a wild type haploid. All of the resulting diploids were cream colored. This is what would be expected as both copies of ADE2 need to be disrupted to see red colonies in a diploid. When these diploids were sporulated, the researchers got the expected 2:2 ratio of red to cream colored haploids. This all changed when they introduced a Cas9 containing plasmid into the experiment. In the presence of Cas9, more than 99% of the resulting diploids were red. And when sporulated, these diploids produced all red haploid colonies. The two parts of CRISPR/Cas9 together drove the disrupted ADE2 through the population. But importantly, just having the guide RNA integrated into ADE2 had no effect on how the two alleles were passed down. Once one part is removed, the gene drive stalls out. Yeast may show us the way to wiping out these little monsters. If so, hundreds of thousands of deaths from malaria could be prevented each year. Image from Wikimedia Commons. The same system also worked when the ADE2 gene drive included the URA3 gene so that URA3 spread through the population as well. It also worked when the essential gene ABD1 was targeted. And genetic background did not significantly affect how well this ADE2 gene drive worked. When they mated their haploid to six different strains of yeast they saw no loss in efficiency. So separating the two parts of the gene drive is a pretty good failsafe. But of course nothing is perfect. Ideally we need some way to shut the system down if all of our safety features fail. We want to be able to get rid of Jafar and the lamp entirely if possible. DiCarlo and coworkers showed that they could create a gene drive that could overwrite and correct the ADE2 they had disrupted with the guide RNA. This new gene drive targeted a synthetic sequence in the original gene which means that it would only affect altered yeast. So even if things go awry, we may be able to erase the changes we made. These two strategies should help keep gene drives in check both in the wild and the lab. But of course, again, it is important to keep in mind that nothing is foolproof. At the end of Aladdin, they buried Jafar and his lamp deep in the desert to keep him from causing any more trouble. But his lamp was found and Jafar reemerged to wreak havoc in the second Aladdin movie, reminding us that we must be very careful when unleashing powerful forces. Sometimes when you get a minor injury, doctors will recommend alternating heat and cold as a therapy. The heat opens things up and the cold shuts them back down again. Now obviously it would be pretty useless to apply both at the same time. Adding a bit of lukewarm water to an injury is not going to be very helpful at all. The same thing holds true for many genes. If activators and repressors all turned on at the same time, there wouldn’t be much of an effect on the expression of a gene regulated by both. It is no way to respond to something in the environment! Instead, if you want a gene to go up and then go back down again, you’d have the activator turn on first, followed by the repressor. Another way to put this is you’d have a pulse where all of the activators activate their genes at once and then stop working followed by a pulse where all of the repressors work at once. This is exactly what Lin and colleagues found in their recent study in Nature. There they looked at the effect of certain external stimuli on the timing of when the activator Msn2p activated genes and when the repressor Mig1p repressed genes in our favorite yeast S. cerevisiae. These transcription factors coregulate many of the same genes. The authors found that in the presence of either lowered glucose concentrations or 100 mM NaCl, most of the Msn2p in the cell turned on first followed closely by the Mig1p repressors. In the absence of either stimulus, there was no coordination. So there does seem to be a carefully choreographed dance between these two transcriptional regulators with these signals. But of course gene regulation is a bit more complex than a sprained ankle. There may be situations where a cell wants both regulators to do their jobs at the same time. Sometimes lukewarm water may be just what the doctor ordered. And this is what Lin and colleagues found with 2.5% ethanol. Under this condition, the pulses of the two regulators overlapped—both were on at the same time. Apparently different stimuli call for different responses which means different timing of transcription factor pulses. The authors next wanted to get at why Mig1p repression lagged behind Msn2p activation. Since both transcription factors can only enter the nucleus and do their job after they lose a few key phosphate groups, the authors reasoned that perhaps Mig1p dephosphorylation lagged behind that of Msn2p. They decided to look at the PP1 phosphatase, Glc7p, as previous work had shown that it can indirectly regulate both Msn2p and Mig1p. And indeed, when the authors lowered the expression of GLC7, Msn2p and Mig1p no longer pulsed one after the other at lower glucose concentrations. It looks like Glc7p is a key player in controlling the pulsing of these two regulators. Even though much of this work was done with synthetic promoters with Mig1p and Msn2p binding sites, the results were not restricted to these artificial constructs. Lin and colleagues found that around 30 endogenous targets also responded to lowered glucose concentrations in a coordinated way just like their synthetic construct. Yeast regulates genes by controlling when activators and repressors pulse. Finally, all of these studies were done using fluorescent proteins and filming single cells in real time. (Is biology cool or what?) This makes sense because subtle signs of synchronization can be lost when averaged over a large population. Just like a synchronized swim team, yeast regulates genes by controlling when activators and repressors can work. Image from Wikimedia Commons. This also allowed the authors to investigate what happens in unstimulated cells. In other words, what happens when both regulators enter the nucleus at the same time? Or if a repressor gets in first? The first thing they found was that even in the absence of stimulation, there were still pulses. So at seemingly random times, suddenly all of the Msn2p would swoop into the nucleus at the same time and then all leave a short time later. Or the same thing would happen with Mig1p. If by chance the two entered the nucleus at the same time, both the synthetic reporter and an endogenous gene, GSY1, were not activated. But if Msn2p happens to get in there first, both were activated. And if the repressor Mig1p managed to get into the nucleus at least 4-5 minutes before Msn2p, activation by Msn2p was muted. The presence of Mig1p beforehand seemed to keep Msn2p from activating coregulated genes to as high a level. 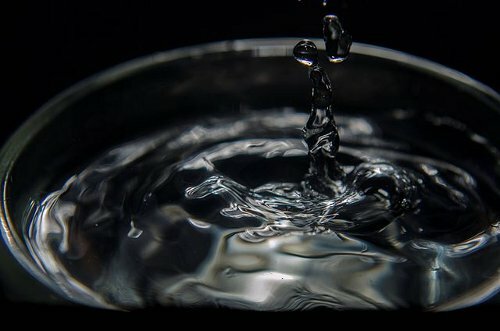 Taken together these results confirm that just like a synchronized swim team, yeast regulates genes by controlling when activators and repressors can work. First there is a pulse where the all of the molecules of a certain activator are primed to do their job and then, after a short time, they all stop doing their job. This can then be followed later by a pulse of repressors shutting it all down. And this isn’t just in yeast either. For example, these kinds of pulses are important in neuroscience as well. This work suggests that in dissecting regulatory pathways, researchers may need to pay more attention to the timing of pulses. Then they can see that hot followed by cold makes much more sense than both together. 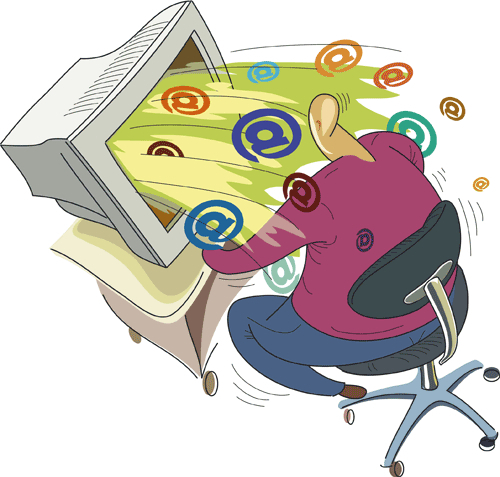 Imagine what our email inboxes would look like if we didn’t have spam filters! To find the meaningful emails, we’d have to wade through hundreds of messages about winning lottery tickets, discount medications, and other things that don’t interest us. When it comes to sorting out meaningful mutations from meaningless variation in human genes, it turns out that our friend S. cerevisiae makes a pretty good spam filter. And as more and more human genomic sequence data are becoming available every day, this is becoming more and more important. For example, when you look at the sequence of a gene from, say, a cancer cell, you may see many differences from the wild-type gene. How can you tell which changes are significant and which are not? SuperBud to the rescue! Because many human proteins can work in yeast, simple phenotypes like viability or growth rate can be assayed to test whether variations in human genes affect the function of their gene products. This may be one answer to the increasingly thorny problem of variants of uncertain significance—those dreaded VUS’s. In a new paper in GENETICS, Hamza and colleagues systematically screened for human genes that can replace their yeast equivalents, and went on to test the function of tumor-specific variants in several selected genes that maintain chromosome stability in S. cerevisiae. This work extends the growing catalog of human genes that can replace yeast genes. More importantly, it also provides compelling evidence that yeast can help us tell which mutations in a cancer cell are driver mutations, the ones that are involved in tumorigenesis, and which are the passenger mutations, those that are just the consequence of a seriously messed up cell. Talk about a useful filter! The researchers started by testing systematically for human genes that could complement yeast mutations. Other groups have done similar large-scale screens, but this study had a couple of different twists. Previous work from the Hieter lab had identified genes in yeast that, when mutated, made chromosomes unstable: the CIN (Chromosome INstability) phenotype. Reduction-of-function alleles of a significant fraction (29%) of essential genes confer a CIN phenotype. The human orthologs of these genes could be important in cancer, since tumor cells often show chromosome rearrangements or loss. So in one experiment, Hamza and colleagues focused specifically on the set of CIN genes, starting with a set of 322 pairs of yeast CIN genes and their human homologs. They tested functional complementation by transforming plasmids expressing the human cDNAs into diploid yeast strains that were heterozygous null mutant for the corresponding CIN genes. Since all of the CIN genes were essential, sporulating those diploids would generate inviable spores—unless the human gene could step in and provide the missing function. In addition to this one-to-one test, the researchers cast a wider net by doing a pool-to-pool transformation. They mixed cultures of diploid heterozygous null mutants in 621 essential yeast genes, and transformed the pooled strains with a mixture of 1010 human cDNAs. This unbiased strategy could identify unrecognized orthologs, or demonstrate complementation between non-orthologous genes. In combination, these two screens found 65 human cDNAs that complemented null mutations in 58 essential yeast genes. Twenty of these yeast-human gene pairs were previously undiscovered. The investigators looked at this group of “replaceable” yeast genes as a whole to see whether they shared any characteristics. Most of their gene products localized to the cytoplasm or cytoplasmic organelles rather than to the nucleus. They also tended to have enzymatic activity rather than, for example, regulatory roles. And they had relatively few physical interactions. So yeast could “receive messages” from human genes, allowing us to see their function in yeast. But could it filter out the meaningful messages—variations that actually affect function—from the spam? The authors chose three CIN genes that were functionally complemented by their human orthologs and screened 35 missense mutations that are found in those orthologs in colorectal cancer cells. Four of the human missense variants failed to support the life of the corresponding yeast null mutant, pointing to these mutations as potentially the most significant of the set. Despite the fact that these mutations block the function of the human proteins, a mutation in one of the yeast orthologs that is analogous to one of these mutations, changing the same conserved residue, doesn’t destroy the yeast protein’s function. This underscores that whenever possible, testing mutations in the context of the entire human protein is preferable to creating disease-analogous mutations in the yeast ortholog. For those 19 human variants that did support life for the yeast mutants, Hamza and colleagues tested the sensitivity of the complemented strains to MMS and HU, two agents that cause DNA damage. Most of the alleles altered resistance to these chemicals, making the yeast either more or less resistant than did the wild-type human gene. This is consistent with the idea that the cancer-associated mutations in these human CIN gene orthologs affect chromosome dynamics. As researchers are inundated by a tsunami of genomic data, they may be able to turn to yeast to help discover the mutations that matter for human disease. They can help us separate those emails touting the virtues of Viagra from those not-to-be-missed kitten videos. And when we know which mutations are likely to be important for disease, we’re one step closer to finding ways to alleviate their effects. Using SGD’s Variant Viewer, you can compare the nucleotide and protein sequences of your favorite genes in twelve widely-used S. cerevisiae genomes. This tool shows alignments, similarity scores, and sequence variants for open reading frames (ORFs) from the different strains relative to the S288C reference genome. Sequence data are derived from Song et al., 2015. Take a look at our new video tutorial to get started with the Variant Viewer, and let us know if you have questions or suggestions. SGD’s Phenotype pages present detailed information about single mutant phenotypes for a particular gene, along with references for each observation. Phenotype pages are accessible from the ‘Phenotype’ tab of the Locus Summary and is also linked from the Mutant Phenotypes section of the Locus Summary, where the phenotype data are presented in summary form. Data are presented in tabular form on the Phenotype page. This brief video will give you an overview of the contents and organization of SGD’s Phenotype pages. If you’re interested in finding all the published literature about a gene or protein, there’s no need to wade through long lists of PubMed results. SGD curators have already done that for you! We review PubMed weekly for new papers about S. cerevisiae. You can find papers about a specific gene or protein on its Literature tab page (see an example). Articles on the Literature page are categorized by several topics. The Primary Literature section lists papers in which the gene of interest is a primary focus of the study, while the Additional Literature section lists papers in which the gene is mentioned but is more peripheral to the research. There are other categories of references, and also a cool interactive graphic that shows the relationships between papers that are about the same set, or overlapping sets, of genes. You can get to the Literature page for a gene or protein via the Literature tab, located at the top of its Locus Summary page and all of its other tab pages. Our GO Term Finder tool lets you start with a list of genes—perhaps a set of genes that are co-regulated, or a group of genes that can all mutate to the same phenotype—and analyze their Gene Ontology (GO) annotations to find out what else they might have in common. GO Term Finder searches for significantly shared terms within the GO annotations associated with the genes in your list. It takes advantage of the tree structure of GO to find terms that are related to each other within the ontology. Finding shared terms within a gene set can bring meaning to experimental results and suggest new avenues to explore. For example, if the GO Term Finder results show that most of the genes in your co-regulated set mediate steps in a pathway, this might be a hint that the uncharacterized genes in the set also participate in that pathway. Or perhaps GO Term Finder will show that a group of genes that can mutate to confer resistance to a certain drug are all annotated to a certain cellular location, suggesting a mechanism for the effects of that drug. Give it a try and see what interesting results your gene list has in store! Our new SGD Help video gives you a quick overview of how to use the GO Term Finder. You can find all the details on our GO Term Finder help page.